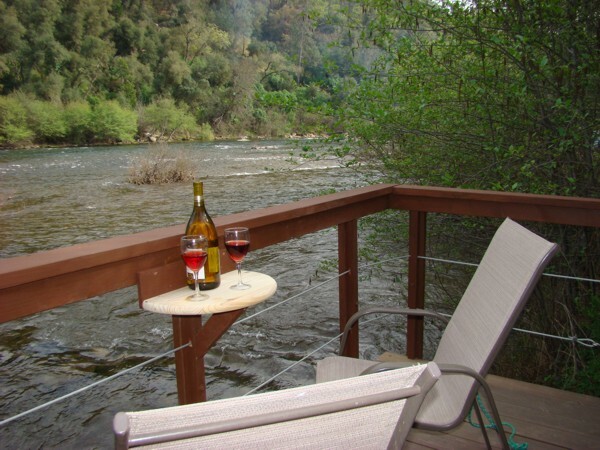 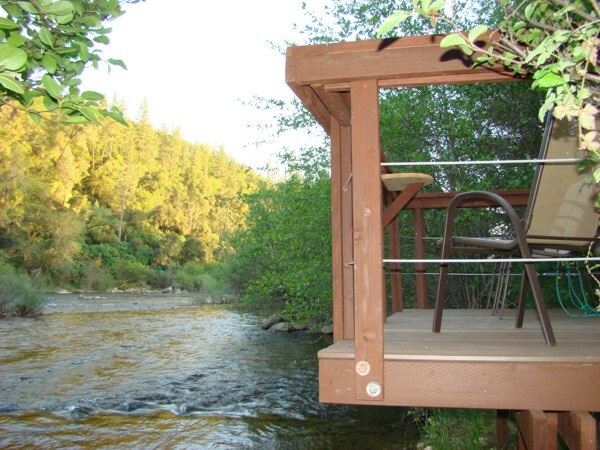 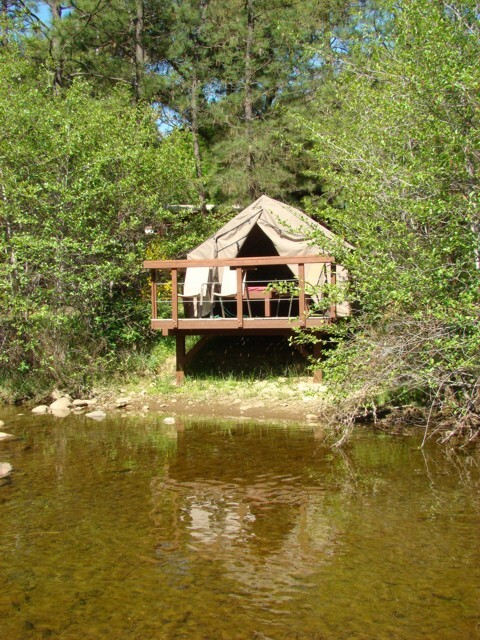 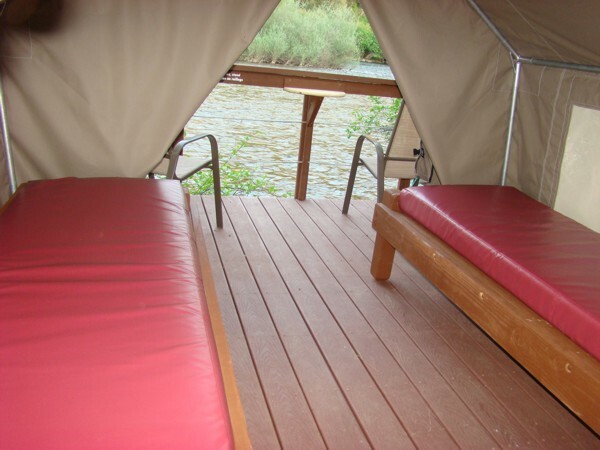 Our mini-cabin tents are located at the rivers edge on a raised deck giving you a spectacular and private view of the river. 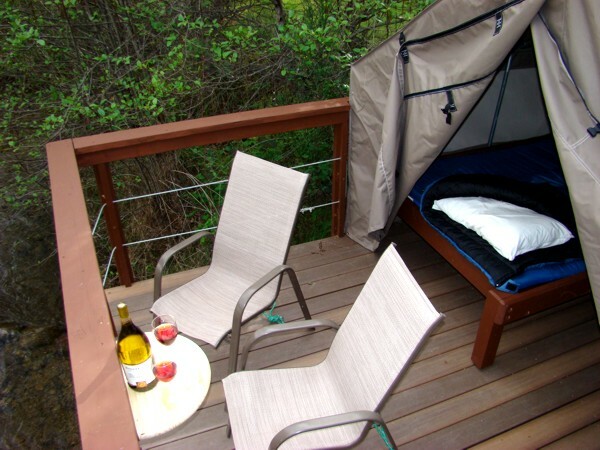 Includes 2 beds with comfortable sleeping pads (beds can be easily pushed together to make a double bed) plus 2 chairs on the outside deck. 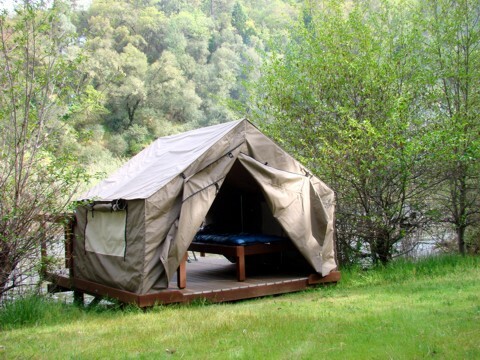 Our large river front tents are equipped with a double bed and a single bed plus 3 chairs. 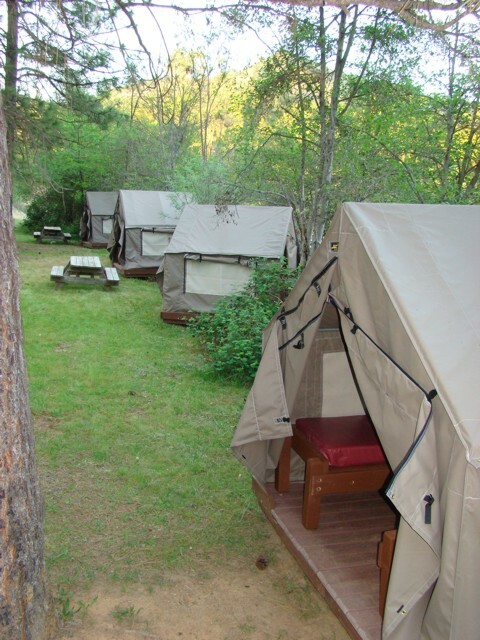 Rental Rate: $60 per night per tent (2 person tent, 4 available) and $80 per night (3 person tent, 5 available). 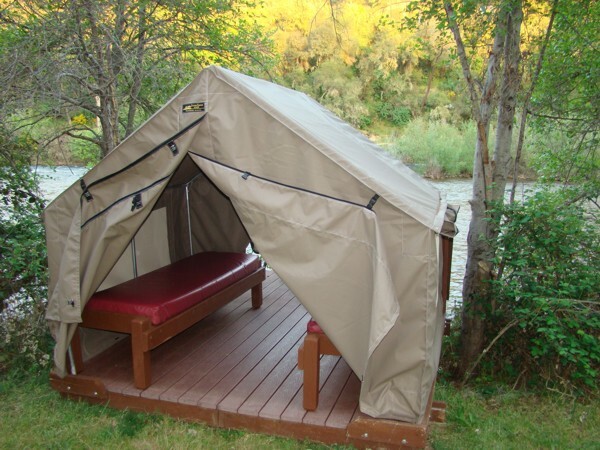 Book these tents early, especially on weekends, as they are very popular.